Way of the Morris premieres as part of the London International Documentary Festival at the Barbican on Sunday 15th May. 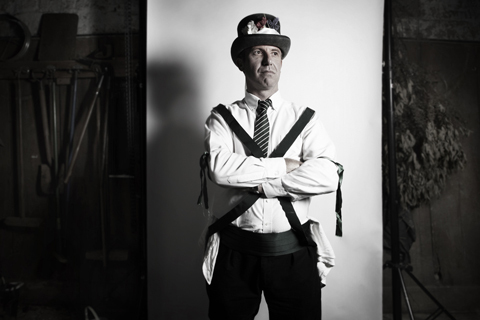 Director Tim Plester eloquently guides us through the making of this lovely film about Morris Dancing. Way of the Morris by Rosemary Cunningham. 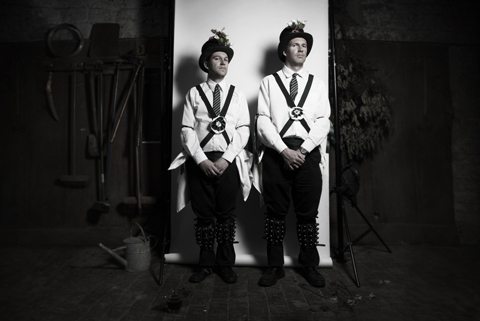 Actor and film director Tim Plester has produced a beautiful documentary film inspired by his childhood antagonism towards the reignited Adderbury village cult of Morris Dancing. Modern footage is interspersed with old recordings as Way of the Morris follows the lives of current Adderbury Village Morris Men: the film is a touching look at the current renaissance of Morris Dancing in modern lives, adiposity put together with wonderful camera work that catches the Morris Men mid motion like brightly costumed village warriors. Tim Plester dressed as a Morris Dancer. What inspired you to make this film? Was there one particular thing that finally kick started the idea into action, pills and if so what was it? There’s a single Polaroid photograph that has haunted me for most of my life. Taken in April 1976, price it shows me (aged just 5-and-a-half years old), stood outside the family home in Oxfordshire, dressed-up as a Morrisman. 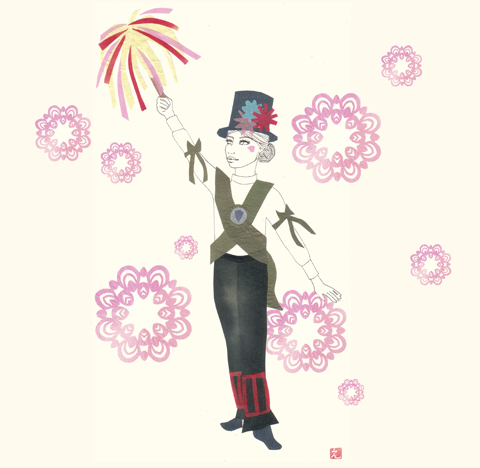 There’s a corn-dolly pinned to my breast and there are coloured ribbons tied about my knees. The photo shows me looking towards the camera’s lens with a smile stretched across my unblemished face. But looking at that instant image now, the smile I see displayed there betrays itself as something else entirely. For looking at that photograph now, the captured smile is clearly more of a grimace. It’s a simian smile born only of fear. The rictus grin of a scared and hairless ape. The look of someone who’s unable to turn and face his own destiny. 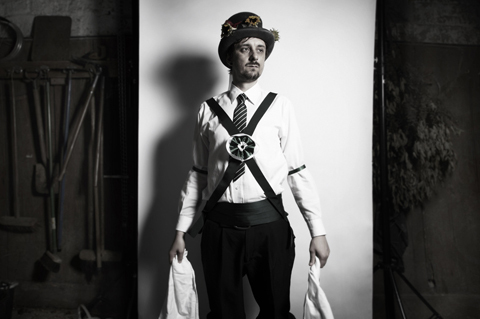 I’ve been running away from my Morris dancing roots ever since the day that photograph was first taken. Morris Dancers by Faye West. What finally stopped me in my tracks and forced me to confront my birthright, was the decision I took to travel to Northern France in the summer of 2008. I’d been invited to visit The Somme as a guest of the Adderbury Village Morris Men (a revival side which my Father and Uncle helped found in the self-same year that the Polaroid image of me was taken); there to commemorate the lives of those village dancers who lost their lives in the stinking trenches of World War One. Of the young fresh-faced team that volunteered to fight for King & Country, only one was to ever return home again. 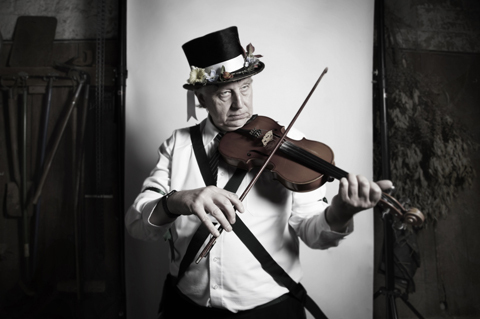 Finding out about that Lost Generation of Morrismen provided me with all the kick-start I ever needed. How long did it take to make, and how did you manage your other career as an actor around it? 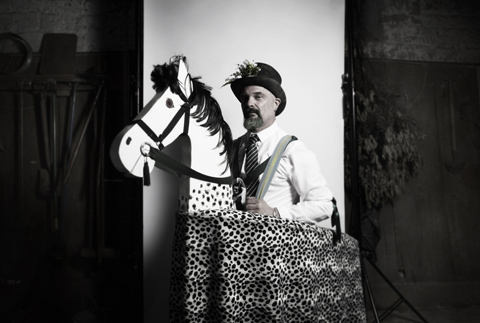 I lost 2-and-a-half years of my life making WAY OF THE MORRIS, and had to juggle any acting work around the filming and lengthy post-production period. On-screen, my hair changes colour 2 or 3 times over the course of the documentary’s 64 minute running-time; the result of a couple of roles elsewhere, that had required a significant change of appearance. I can only recall one instance when the documentary and my acting “day-job” came into direct conflict with each other. Luckily, I have a very understanding agent. And luckily the documentary won out. 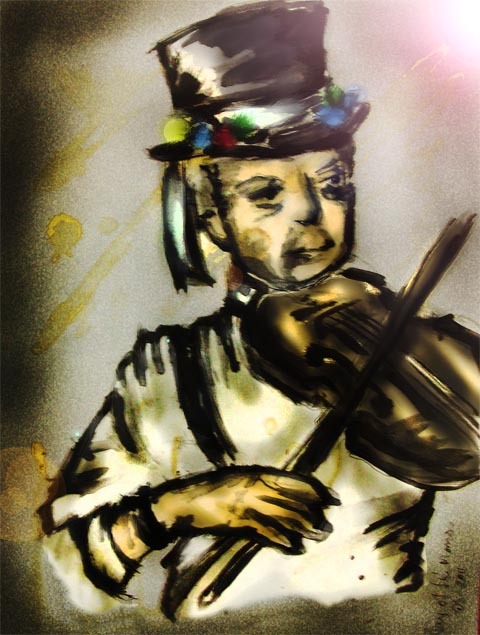 Morris Dancer by Erica Sharp. What inspired the look of the film, which features lots of old photos and videos interspersed with some new imagery that has also been given an old patina? What feeling were you hoping to achieve? All of the vintage super-8 used in the film was shot by my late grandfather Harold Jeffrey Plester, who I was very close to. As a child, growing up in Adderbury, I spent almost as much time with him and my paternal Grandmother as I did with my own parents. There’s something potent and magical about the flicker-flicker of 8-millimetre footage. It carries with it an in-built nostalgia. A nostalgia underpinned by melancholy. A homesickness if you like. A lament for lost lands. WAY OF THE MORRIS also features contemporary super-8 footage shot by me, my Father and my Uncle James. The idea here was to keep things in the family whilst helping echo and enforce recurring motifs of circles and cycles and death and rebirth. And finally, in a bid to counteract all of that whilst also acknowledging the reckoning of time, there is some digital HD Flip camera footage to be found right at the very tail-end of the film. This being the modern home-movie equivalent of the footage my grandfather shot. If President John Fitzgerald Kennedy were to be assassinated in public today, then I’d like to think he’d be assassinated on a HD Flip camera. How easy was it to research everything? Any tales of woe? The research was the easy part of the process really. Coming from the village, and having known all the major-players my entire life gave me an unquestioned access-all-areas pass. I am extremely grateful to Barry Davis (an old school-friend of my Father’s) for allowing me to trawl though his extensive collection of archival photographs, and also to Bryan Sheppard, the long-standing Fool of the Adderbury Village Morris Men, who kept a meticulous log-book during the team’s fledgling years, and who also (along with his sister), helped unearth all of the information we have regarding that young team that went to war. One poignant aspect of the filmmaking process that I remember clearly, (though not technically a part of the research or a tale of woe) is my initial response to visiting the WW1 memorials in Northern France. 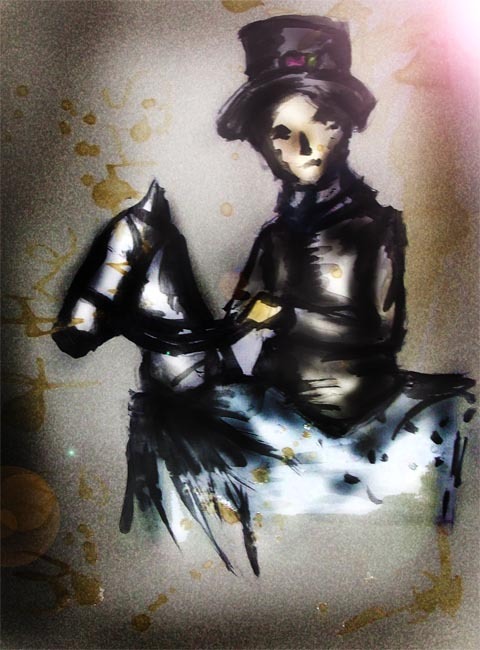 Way of the Morris by Karla Pérez Manrique. I was expecting to be moved by those great towering monoliths and the far-too-many names painstakingly carved upon their stone white walls. But what actually grabbed me by the gut, was the gently rolling countryside that surrounds them on all sides. Scalped, sodomized, and maimed beyond all recognition, those farmer’s fields were left in tatters by the 4 years of abject misery rained down upon them (1914-18). And yet today, the topsoil and the wildlife have long since returned, whilst the nearby villages of Pozières and Albert have been rebuilt brick-by-brick. The old landscape was lost beneath the blood and the clay. Only to be reborn anew. Much like the Morris dancing itself. Did you find it hard to direct and feature in the film together? For this I have to give thanks to my co-director Rob Curry of Fifth Column Films. Rob was always on hand whenever I was needed on the flip-side of the camera, and therefore in danger of neglecting any directorial duties. Amongst other things, Rob must also take a lot of the credit for the way in which we ended-up shooting the raw footage of the Adderbury dancers. Rob has long held this belief that The Morris is, in some strange way, a kind of arcane English martial art. For that reason we shot the dancing mainly in close-up, and tried to capture the kinetic energy of what it’s like to be caught-up within the maelstrom of oscillating willow-sticks and flying pocket-hankies, rather than being on the outside simply looking in.
? ?What’s the best thing about coming from a small village in England? What do you have that others can only dream of or aspire to? I left The Shire many years ago, and have lived in North London for longer than I ever lived amidst the wheatfields. But Adderbury is still the place I go to when I daydream. She’s my own private Avalon. A place where landscape and melody entwine. The locally-brewed Hook Norton beer takes some beating that’s for sure. Sweet, full-bodied and devilishly fruity, Old Hooky is a hallowed ale, brewed-up by a benevolent Malt Giant and his 9 steam-powered billow maidens. So God speed the ploughshare and drink of it deep good people. And give thanks to birthplace and to rural brotherhood. If that in any way shape or form answers your question? 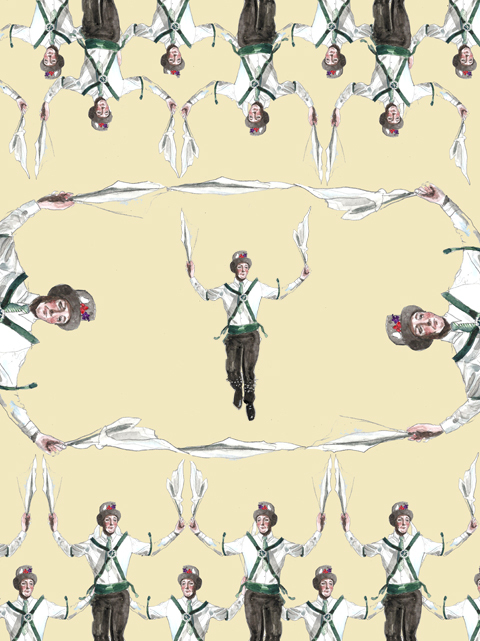 What’s the best way to encourage community, if Morris Dancing is not an option? In an age of interactive widescreen 3D television screens, Morris dancing is definitely one way of encouraging community spirit whilst helping maintain a strong connection with one’s cultural identity. But there are certainly others. There’s egg-yarping for one. And cheese-rolling for another. Hastings has its Jack-In-The Green sacrifice, whilst Hallaton and Medbourne have their once-yearly Hare Pie scramble and bottle-kicking fixture. And then of course there’s traditional tar-barrel racing, Tutti-kissing and various seasonal Mumming activities to consider. How’s the Morris Dancing these days? It’s enjoying something of a renaissance, truth be told. There are a number of younger teams springing-up around the country, and in Adderbury itself there are currently more people dancing the old ancestral dances than there were during the glory days of the longhaired 1970’s. Dances to make the crops grow tall. Dances to honour the resurrection. For Herne The Hunter and spritely Robin Goodfellow. Dances to hold up the very sky. Or, in the words of the English composer Gustav Holst; Ye who dance not, know not what we are knowing. Here endeth the lesson. 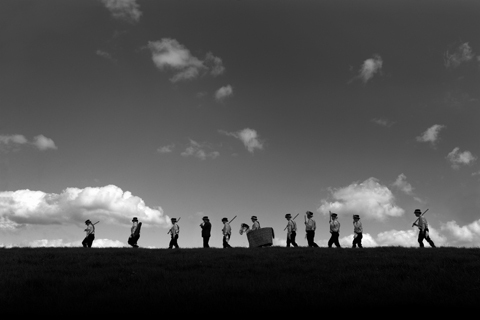 Tim Plester’s short film ENGLISH LANGUAGE (With English Subtitles) premiered at the 2007 Los Angeles Film Festival, and has gone on to screen at over 45 film festivals worldwide, picking-up 5 awards along the way. 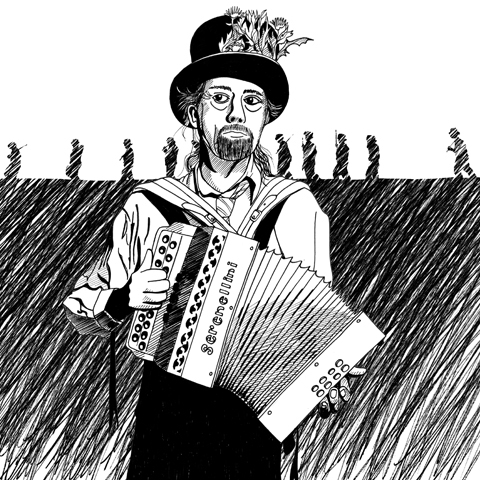 The world premiere of Way of the Morris took place at SXSW. 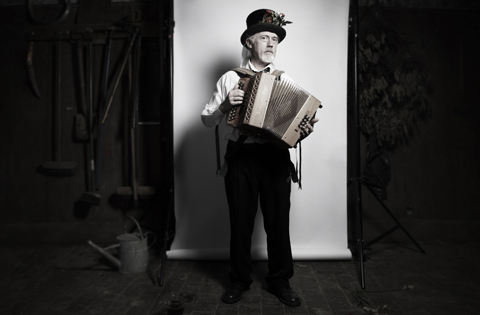 You can catch him at the UK premiere of Way of the Morris this Sunday 15th May at 2pm as part of the London International Documentary Festival at the Barbican, where he will also be answering a Q&A. All the details of the Way of the Morris premiere can be found in this listing here. 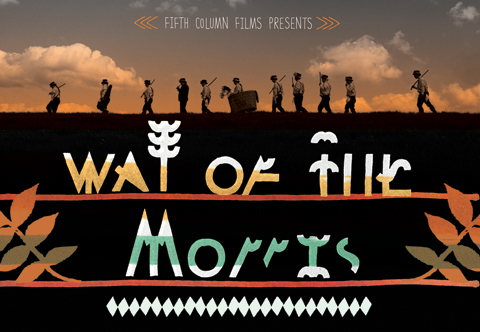 Visit the Way of the Morris website for more information on further screenings. 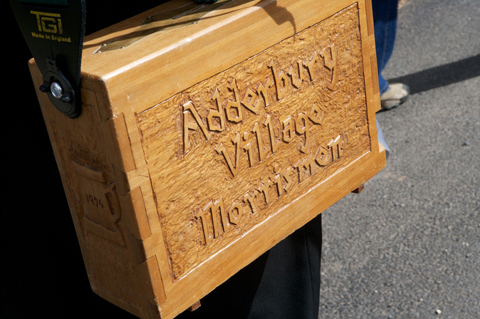 Keep up with the Adderbury Village Morris Men on Facebook.